Angela Mitchell is a writer, columnist, and book author who has promoted theatres, studios, and artists through her own PR firm since 1995. Vendini's sleek web-based solution offers interconnectivity on all fronts, from tickets, to marketing, to donations and more. Vendini TicketAgent product screen shot reprinted with permission from Vendini, Inc.
Vendini's sleek, web-based ticketing solution offers interconnectivity on all fronts, from tickets, to marketing, to donations and more, enabling you to sell tickets, monitor sales (and donations), and report on results within a single system. It’s easy to set up, and can be installed on as many computers as needed, with all sharing information and processing orders in real-time. Costs include a nominal one-time setup fee, with ongoing fees following a transactional, per-ticket pricing model. Recently released a ticket scanning system for the iPod Touch that, for $499, allows venues of all sizes to use the iPod Touch to validate tickets for entry to events. As a box office management system, Ticket Turtle offers one of the easiest and most comprehensive websites in the bunch. Ticket Turtle product screen shot reprinted with permission from Ticket Turtle. Arts People (formerly Ticket Turtle) gets big points from me for one of the most comprehensive websites in the bunch. The service combines real-time box office sales and management with database tools seamlessly integrated with marketing, reporting, and mailings. Offers three options: Basic, Pro, and Premier, with each tier adding more advanced features for sales (tickets as well as non-ticket items), membership, reservations, mailing lists (and more). Includes a host of training materials, articles, questions and answers, and a terrific blog, all available on its website. 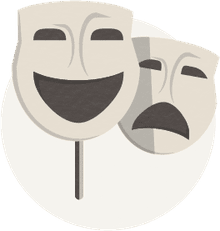 TheatreManager enables users to track patrons, sell and print tickets, and manage the many administrative task associated with running a theatre or venue. TheatreManager product screen shot reprinted with permission from Arts Management Systems. Theatre Manager enables users to track patrons, sell and print tickets (on either high-volume ticket printers or laser printers), and to manage almost any other administrative task associated with running a theatre or venue. Includes the ability to oversee volunteers, fundraising, mailing lists, and donations, plus client demographics and fundraising databases and form letter generation. Works with Mac as well as most Windows PCs, and includes multi-user access, so that the software can truly act as an informational hub for the organization. BOW! (Box Office for Windows) runs the ticketing operations of small to medium-sized venues. Bow! System 8 product screen shot reprinted with permission from TSD Consulting. BOW! (Box Office for Windows) runs the ticketing operations of small to medium-sized venues, with interactive on-screen seating maps, sophisticated patron searches, ticket sales and reservation graphing, flexible subscriptions, user-defined tax charges and surcharges, real-time online credit card verification, and individual operator account balances. Costs under $1200 for venues up to 500 seats. Larger venues pay more, with discounts available for educational and non-profit users. Enables smaller venues to print tickets via inkjet, laser, or thermal printers. Tick-It! Trak Pro 3.0was created to support theatres and venues of all sizes, offering such software features as general and reserved seating management, donor management, and easy administration of such additional aspects as concession, food service, membership, and retail sales. Allows for direct internet ticketing, and includes both credit card and gift card processing. Includes 30 days of phone support upon setup, with further support billed at $75 per hour, annually ($1200 per year), or on a pay-as-you-go basis. SABO allows for easy management of ticket purchases and subscriptions, as well as immediate and integrated access to related accounting, marketing, and fundraising tasks. SeatAdvisor screen shot reprinted with permission from SeatAdvisor, Inc.
SeatAdviso Box Office (SABO), web-based integrated ticketing system, allows venues of any size to maintain integrated management and control over everything from box office and Internet sales, to phone room and outlet sales (and more), via a single resource. Allows for easy management of ticket purchases and subscriptions, as well as immediate and integrated access to related accounting, marketing, and fundraising tasks. Available in five different interface options created to support specific organization or venue types from small to large, all of which are easily integrated and cross-compatible. ShowClix is a full-service online ticketing solution that offers ticketing and support options for single events, as well as full-service options for larger ones. ShowClix Ticketing Wizard screen shot reprinted with permission from ShowClix. ShowClix Ticketing Wizard is a full-service online ticketing solution offers ticketing and support options for single events, as well as full-service options for larger ones. The Wizard enables venues of all sizes to get their events online quickly, offering real-time ticket sales, free ticket scanners, direct deposit payment, and more. Includes integrated event administration, marketing, guest list management, and advance event promotion support, as well as direct deposit payment prior to events. Free setup. Prices for events with attendance under 1,000 are $0.75 + 2.50% per ticket, while fees for full-service ticketing occur on a transactional basis. Recently introduced "Axess," a Google Android application that transforms Android-powered devices into barcode ticket scanners. Folio's graphical seating chart display allows users to quickly determine available seating and to select seats to sell. Folio screen shot reprinted with permission from Martech Systems, Inc.
Folio Box Office Softwareoffers many of the features of the higher-end ticketing software packages, while still working within the budgets of smaller venues. The software offers control over seating purchases and holds at all times, as well as integration of online and offline sales, and online scheduling management of events and milestones. Gives users the opportunity to create their own fee structures on either a per-ticket basis, or on a more big-picture, general sales basis. HandyTix by HandyTix combines the big features of online event ticketing and interactive seat selection, with more modest options for those just getting started (even if you need to print at home). The system offers a familiar, Windows-style interface, and serves organizations from 50 seats to 50,000. No setup fees, operating on a transaction-based fee structure only (ranging from 2% to 2.5% of ticket price, depending on the number of ticket sales). 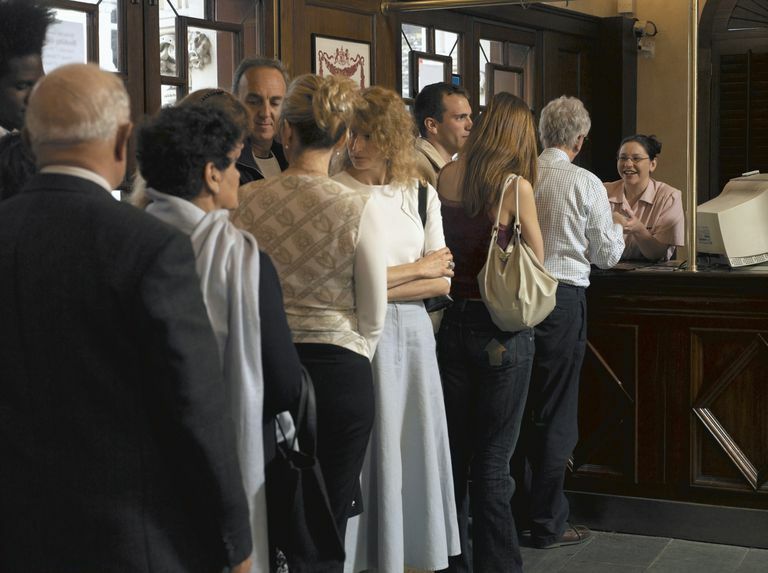 The Little Box Office offers a hosted software solution emphasizing simplicity and ease of use. The Little Box Office product screen shot reprinted with permission from The Little Box Office. The Little Box Office offers a hosted software solution emphasizing simplicity and ease of use. TLB enables ticket purchases in just four steps, and allows ticket buyers to opt-in (or out) of providing information about themselves for marketing use. No setup fees for most clients operating on a transactional or commission basis, while larger clients can buy the software outright for unlimited ongoing use. Enables ticket sellers to search previous buyers for saved information, waive booking fees or set up complimentary tickets via an administrator. What's the Best Places to Sell Antiques and Collectibles Online? What is the Best AIS Boating App?